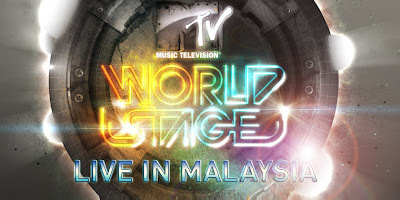 SPECTREOUTREACH.com: MTV World Stage LIVE IN MALAYSIA! MTV World Stage LIVE IN MALAYSIA! Come August 15th, 2009 – MTV World Stage will make its debut in Malaysia; an unprecedented 1st in Asia! Kick-starting MTV’s Global circuit of specially produced music events! Sunway Lagoon Resort Surf Beach, will be the chosen destination for MTV World Stage Live In Malaysia. Witness the world’s largest man-made Surf Beach drained completely dry to welcome 15,000 of Asia’s finest partygoers!